Today is Safer Internet Day (SID). This year’s theme is: "Create, connect and share respect: A better internet starts with you,”, which is a call to action for all stakeholders to help create a better, safer, and more engaging internet experience for everyone. Children and young people need to learn about online safety and protection, but all online users can benefit from increased awareness of these issues. The internet has digital nuances that the average user can't control. We must learn how to make it secure for everyone to use. Smartphone users also need greater awareness of online safety, particularly given the increase in their use for activities that involve the transfer of money such as purchasing apps, music and other digital goods, shopping online for physical goods, and mobile banking. These activities attract criminals because they involve direct or indirect access to bank accounts and credit cards. Cyber criminals use malware and other threats to generate revenue from mobile communications. Nokia’s Threat Intelligence Report for 2017 revealed that approximately 0.68% of all mobile devices were infected with malware in the first three quarters of 2017. 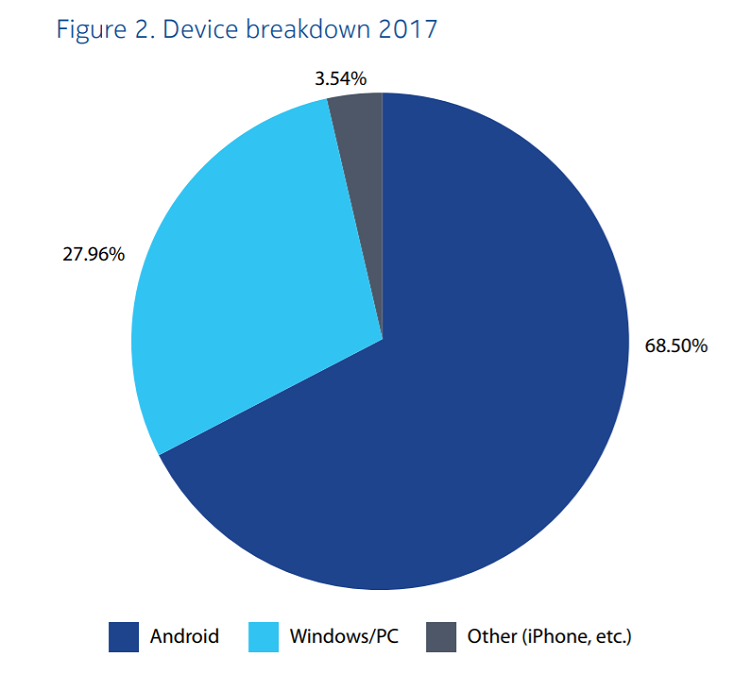 Android devices accounted for 68.5% of these mobile malware infections, followed by Windows/PC devices at 27.96%. Change default passwords Use unique and complex passwords for smart devices, especially home Internet/WiFi routers. A strong password significantly reduces the possibility that attackers will hack into a device. Apply patches in a timely way Update device firmware to the latest version to avoid unpatched vulnerabilities. Enable the auto-update feature if it is available. Deflect social engineering tactics Always take care in opening emails and visiting websites, both of which can be used for spam, phishing, malware, and targeted attacks. The Nokia Security Center is playing its part in making the internet safer. It offers the facilities to demonstrate threat scenarios and preventative solutions to customers, partners, academic institutes, analysts, and governmental bodies. The Center serves as a platform for evaluating deeply integrated, comprehensive solutions to network threats. It also provides a central venue for studying disruptive trends and their impact on next-generation mobile security. To learn more about Nokia’s recent research on smartphones and malware, download the Nokia Threat Intelligence Report, which provides analysis of data gathered from more than 100 million devices.